– So… What is it brother? So, now after some Googling I get that the fruit is called Persimmon and it is not very prominent in India. But during this season I also see them in Delhi markets (priced much higher). I might have seen it on occasions but never tried it or even figured out what it is. But at Aut (40 kms upwards from Mandi), the shops were full with it. Later on, I also saw some trees laden with the same fruit. Since I was only carrying my 35mm, the photographs could not really capture their fecund glory. This was probably the last trip into the Himalayas this year and I was already late. Also, a sudden and annoying back pain made be abandon more ambitious plans. So I just decided to hang around in the region, conduct a recce mission, collect ground level intelligence and make plans for the next year. I spent a night at Aut, which is somewhere between Mandi and Kullu on the highway just near the famous tunnel. I also made short detours to Banjar and Sainj from Aut, without really accomplishing anything. Anyways, the road to Aut offered a great view of the turquoise Beas River and the Pandoh Hydroelectric project. On the other hand, I finally also got a good location to conduct an experiment I was looking to do for a long time. The blurry effect of flowing water, something I’d failed to do earlier and was not getting any good location to try again, finally became a reality. I climbed down to the bank of the river under a bridge just before Banjar with a lot of effort and tried a few tricks. The results were not perfect but I will take it considering the fact that it was done without tripods at slow shutter speeds. Thanks to these couple of days, now I finally know how to reach the Great Himalayan National Park (I found the existing online information very confusing). I will ransack the GHNP next spring. Basically, when you are entering Himachal from Delhi via Mandi, you need not cross the tunnel at Aut to move towards Kullu and Manali. As the highway moves on towards Manali, smaller roads deviate from this point to take you towards the GHNP. You can get local buses from Aut and move towards either Banjar (20 kms) or Sainj (14 kms) crossing the Larji Hydro Electric Project. 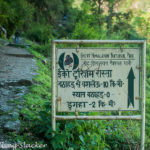 From Banjar another route goes towards Sai Ropa and Gushaini, the entry points for the GHNP. On the other hand from Sainj you can go to Neuli for another entrance. This is what I have figured out so far. I will assess the validity of my understanding next year. Later on, I came back to Mandi and visited the Parashar Lake and came back to Delhi which seems to have become much colder within a span of four days. Anyways I will save Parashar for the next post. Meanwhile, coming back to the real point, I still have the Persimmons and I have a pressing query now. How do I figure out if they’ve ripened already? River photos came out good. How was Lake Parashar? 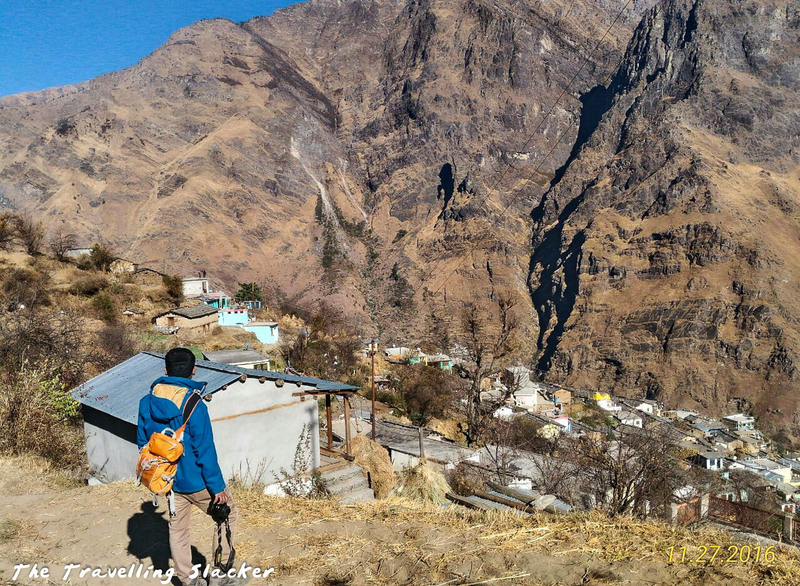 Great blog of my home place kullu . Tirthan no doubt is best in kullu . You are most welcome to walk Ghnp trails . Lots of birding and Hiking . Nice post. I am also confused about how to reach GHNP. Can you help me with some details. It is possible to hire Tent sleeping bag and guide once we reach Sainj? I kind of travel on shoestring budget, so don’t want to book anything in advance. I think GHNP is one of the last paradises of the hills.